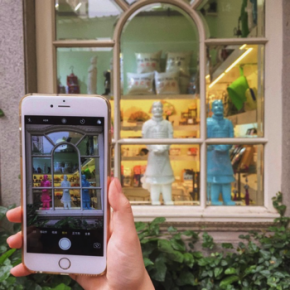 The Shanghai Art Mosaic Program’s mission is to explore as many perspectives on Shanghai’s diverse art scene as possible and begin to cultivate a daily arts practice. Throughout the week, students were asked to examine the role that art plays in society and to participate in the creation of many forms of art. 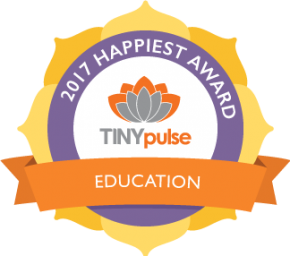 Admittedly, we set an ambitious goal that our team of inspiring, creative students pursued passionately and relentlessly. Over the seven days that followed, students interviewed artists and gallerists in Tianzifang 田子坊 and M50’s creative art districts, spoke with local musicians and performers, made their own silkscreen prints with Idle Beats, expanded their understanding of the visual arts, dance, Chinese opera, and even tried their hand playing in a band. 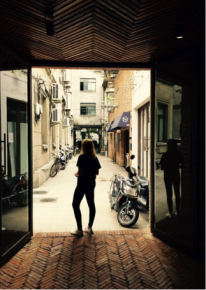 After kicking off the first morning with an Improv workshop where students learned to build a stronger team cohesion and embraced the power of “Yes, and…”, we headed for the art district, Tianzifang 田子坊. Incorporating some of the following techniques will elevate any photo: subject-foreground, leading lines, rule of thirds, negative space, framing, depth-of-field. Create a file of photos you like and start to analyze what it is about the photos that make them so appealing to you. This will train your eye to recognize the tools mentioned in the paragraph above and to build and craft your own photographic style. **Interested in elevating your own photography game? Stay tuned for public photography workshops with The Hutong in Beijing and Shanghai. 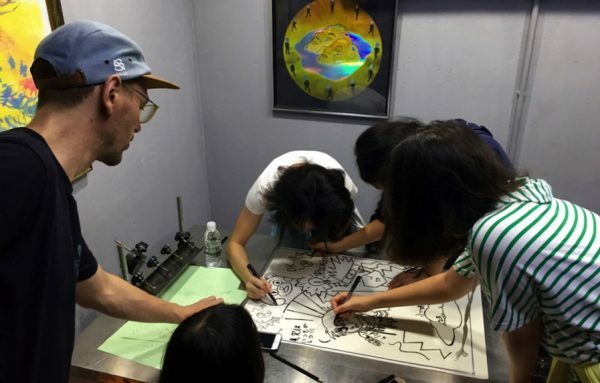 Throughout the week students learned about BioArt through Li Shan’s exhibit at the Power Station of Art, explored contemporary art in the M50 Art District with the curator of Island6 Art Collective and Gallery. While taking in the external inspirations on offer in Shanghai, we didn’t pass up an opportunity to create artwork and sketches of our own! Among the highlights was our screen-printing workshop with local favorite, Idle Beats. The artist duo and the first independent screen print studio in China, was founded in 2009 by Nini Sum (China) and Gregor Koerting (Germany) and offers regular print workshops in Shanghai. In less than 5 hours, students learned how to transfer a design from a basic sketch to a commercial t-shirt or poster. Students worked in small groups to craft their own designs inspired by their favorite artists and surroundings. Students learned to transfer their designs through a mesh, to prepare the ink, and to finally create a poster with their artwork. Thanks to the knowledgeable staff at Idle Beats, we all walked away inspired and with a greater appreciation for the print work we see in everyday life. Early in the week students explored unique modern dance styles with former Slate dancer, Julie Semenova, toured the impressive Shanghai Grand Theater, and experienced the UNESCO World-heritage recognized Kunqu Opera through a hands-on workshop (read more about our other Hutong Kunqu workshop experience here). 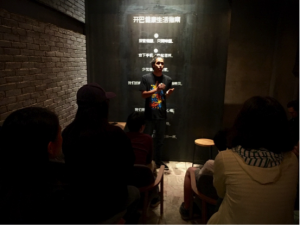 Later in the week, after having a chance to speak with artists and art directors from across the field, students had the opportunity to stage performances of their own with Rolling Music and at The Hutong’s Open Mic night. Our Making the Band workshop kicked off with exercises in teamwork and communication necessary for any band. 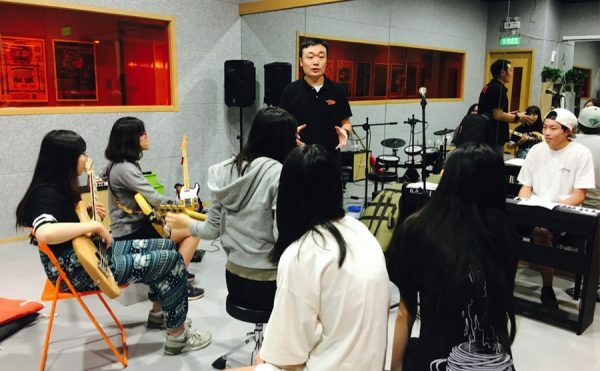 The group went from some never having played a note to performing a full-length pop song in a band, learning the basics from talented composers and musicians at Rolling Music studio. We came away able to keep time, start and stop on cue, and connect with an audience. For a little less structured performance opportunities during the week, we headed over to Kaibai (开吧) for pizza and an Open Mic night. After settling in we met with local artists, Brian Offenther (a.k.a. DJ BO) and Clem de la Crème. Following stories ranging from their daily writing process and event planning to 7-hour bilingual rap battles and rock concerts on the Mongolian Steppe and DPRK, the two shared some of their latest work. Cheers and applause were followed by students’ musical duets, poetry readings, and even an energetic rap! Cultivate a daily practice!—If you set time to work on the things that inspire you like poetry and music for example, you are bound to improve. Say “Yes!”—Saying “yes” sounds cliché but this attitude helps open you to so many incredible opportunities. Connect & create accountability—Clem creates supportive chat groups with his friends near and far where he can share song ideas, lyrics, and poems. 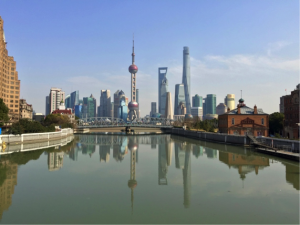 While Shanghai is full of opportunities to view world-renowned artists in museums and concert halls, aspiring artists should not miss opportunities to seek challenge and contribute to their local arts community! 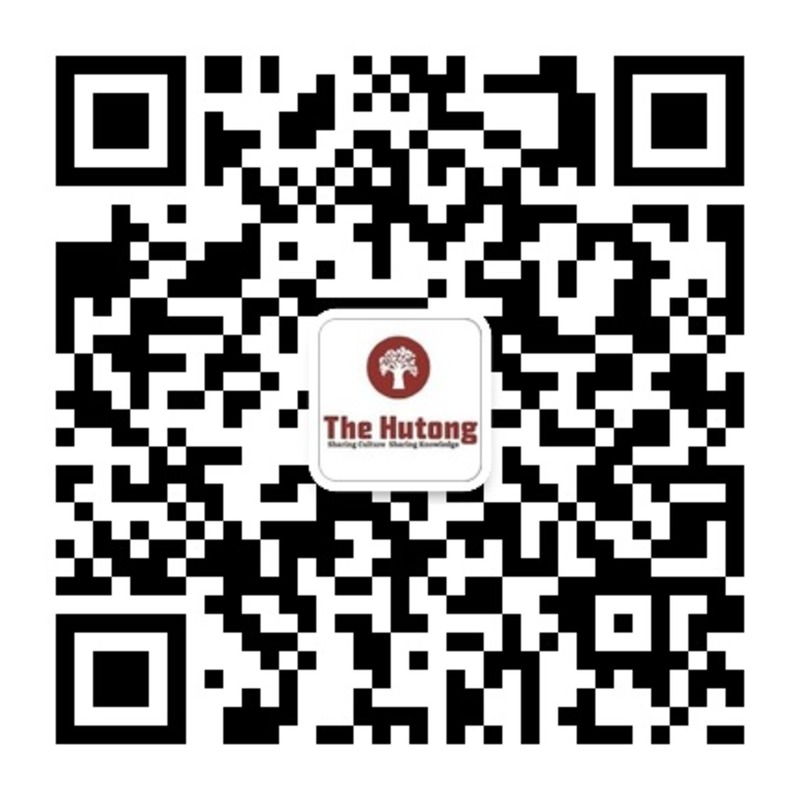 To learn more about this art experience and other programming opportunities in and around Shanghai, contact the Shanghai Hub by emailing charlotte[at]thehutong[dot]com.